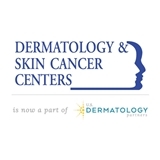 Dermatology and Skin Cancer Centers (Overland Park) - Book Appointment Online! Our passion is to provide the best quality skin care available to you, our patients. We hope to make each visit at Dermatology & Skin Cancer Centers, now a part of U.S. Dermatology Partners - from initial consultation to treatment to follow-up - the most convenient, comfortable experience possible. We want to be your skin care partner for life. Dr. Lent was simply excellent, she listened and addressed all my concerns, I will continue to see her for my dermatology needs. One comment though about the wait time, I waited for over 30 minutes so I’ll probably just need to plan some extra time for me next visit. Professional and personable. Dr. Blake explained for what she was looking and was interested in her examination. Definitely recommend Her. Very professional and took the time to explain everything. Dr. Lane was very personable and non-judgmental. I have already recommended her to several friends. Accuracy of the treatment was AMAZING! Dr. Reule knows how to treat patients very well.